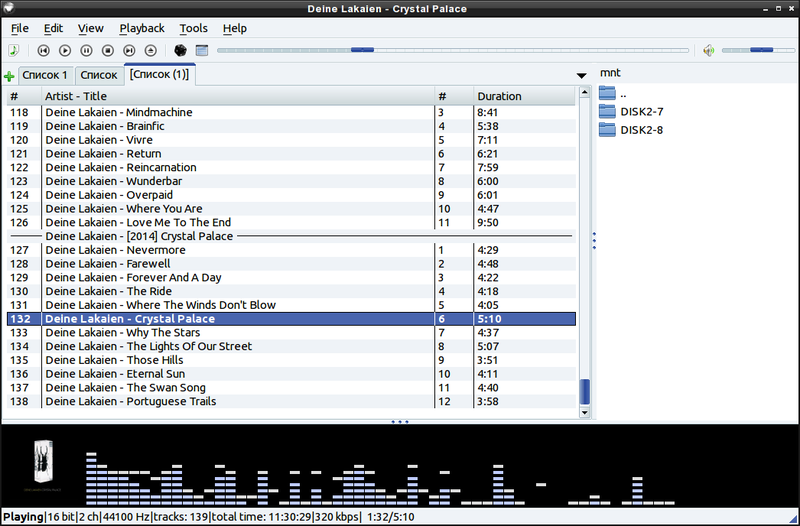 This program is an audio-player, written with the help of the Qt library. 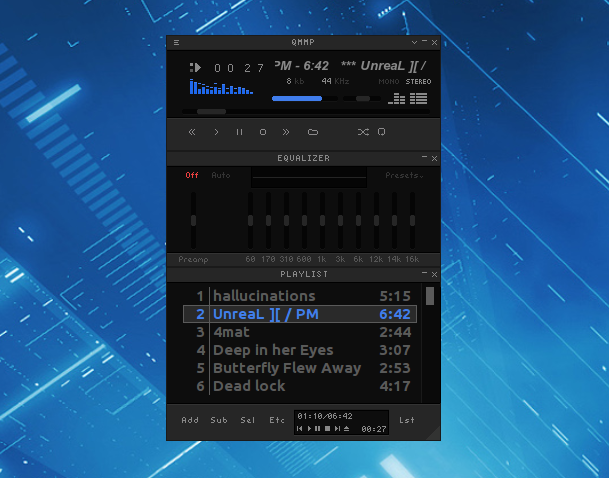 The user interface is similar to winamp or xmms. 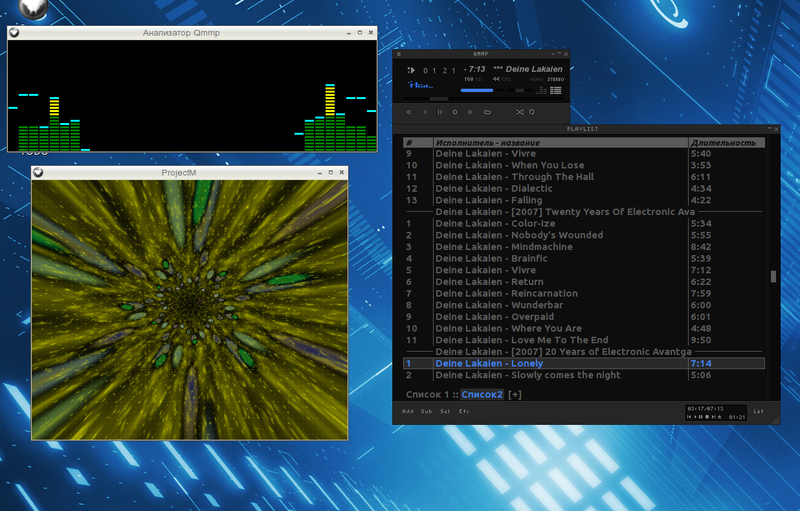 Alternative user interface also is available.